When flood waters start to rise, time is of the essence. That makes early preparation and an understanding of what the various flood warnings mean vital. Here are answers to the most common questions! Our local area unfortunately knows all too well the damage that Flooding can cause. Areas like Tunkhannock, Pittston, and Wilkes-Barre have seen significant flooding over the years that have resulted in damage to homes, businesses, and local utilities and services. With the sudden damage that rising flood waters can cause, it's important to understand the warning signs and to evacuate early. Our recommendation is to always err on the side of caution when flood waters are concerned. If there is any concern that your area may experience flooding and you have somewhere else to go, it's always better to do so. Emergency Radios are vital during flood warnings so that you can keep up to date on flood conditions. Most emergency radios include a crank that will allow you to generate power rather than rely on electricity or batteries. Packing a Go Bag and having it ready will allow you to quickly leave your home should the conditions change or a flood warning be issued for your area. We recommend packing clothing, any medicines that you may take, and some ready to eat food items. Keeping up to date on flood conditions and road closures will allow you to know the best route should you have to leave your home. Local police and news will generally have up to date information available on their social media channels and regular announcements should be made over emergency radio frequencies as well. Invite older neighbors to your house so that you can leave together should an evacuation be necessary. You may need to help them pack a Go Bag as well (don't forget their medicines). Purchasing Flood Insurance will give you some peace of mind should your area ever experience flooding. 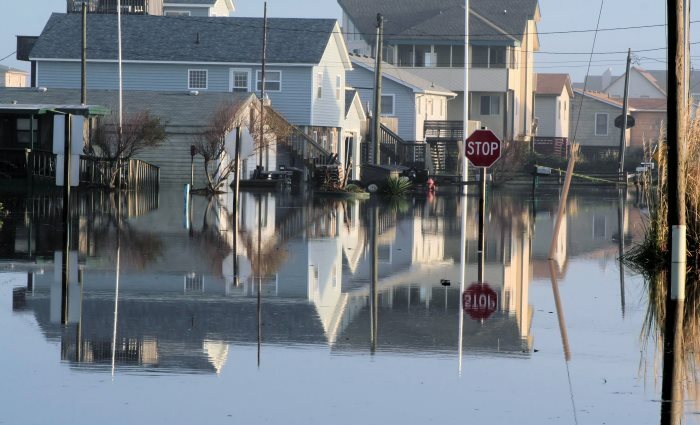 While insurance companies will often recommend flood insurance for residents of areas that have experienced flooding in the past, it's important to look at your property and determine whether flood insurance makes sense for you. Here's more information on Understanding Flood Insurance. Rising Water Levels: Many towns in our area are actually downhill from levies, which means that when the water crests above flood stage, it quickly floods nearby neighborhoods. If water levels get anywhere near flood stage, or authorities recommend evacuation, it is always recommended to leave your home immediately. Water becoming muddier in a short period of time: As the waters rise, they will erode more soil from the banks, which can result in a noticeably "muddier" appearance. This may be a sign that soil upstream that isn't often wet now is, and can be an indicator of rising waters to come. Water begins carrying twigs, sticks, etc. : As with the water becoming "muddier", it may also begin to pick up twigs, sticks, etc. This is an indicator that waters are continuing to rise. Homeowners and residents can be easily confused by the meaning of various flood warnings. Here are the most common and what they mean to you. Flood Watch or Flood Alert: These are intended to warn the public that conditions are right for flooding, but that flooding is not imminent or certain. Take heed of flood watches in your area as well as nearby areas, as they can change as the conditions change. Flooding Warning: This is an urgent warning that flooding of homes and businesses is very likely and that residents should take immediate action to ensure that they and their families are safe. Severe Flooding Warning: An urgent warning for residents that significant flooding is expected that will likely present serious danger to life. Residents should get to a safe place and follow instructions from emergency personnel. Flash Flood Warning: In cases where sudden flooding is expected, a flash flood warning will be issued to the area of concern. Flash flood warnings are generally issued for large areas, as they are most often caused by heavy rains, so it's important for residents to watch their local conditions and act accordingly to stay safe. Small Stream Advisory: Streams can overflow too, and while they generally result in a much smaller affected area, they can result in water damage and flooding of nearby homes and businesses. A Small Stream Advisory will often follow heavy rains and is essentially an alert that streams may overflow and flood as a result. Keep an eye on nearby streams, and take appropriate action should the water level near its banks. While we hope that you're never impacted by flooding, we hope we've been able to answer some of your questions and that your family stays safe should flooding ever occur. As always, should you ever have a need for any of our services, please don't hesitate to Contact Us!